Originally known as 'waist overalls' (catchy! ), denim jeans have seen a huge transformation since they were first invented 145 years ago. They've gone from being worn as heavy-duty workwear to a trusty wardrobe staple for millions of people around the world and it's no wonder; not many items compare when it comes to being versatile, durable, comfortable, and suitable for wearing all year round. 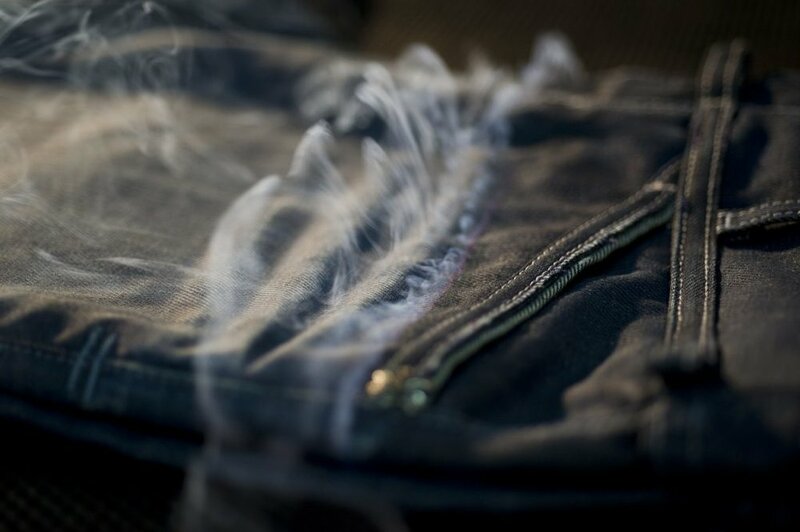 Unfortunately, the materials and conventional methods used to produce jeans are often resource-intensive, harmful to the environment and dangerous for the workers who make them. It doesn't have to be that way though - these 5 brands are finding ways to do things differently. It's no secret that waste is one of the biggest issues in the clothing industry and MUD Jeans are trying to tackle this issue head-on. Sustainability is a driving principle behind this brand; 98% of their jeans are made from recycled, organic or BCI-certified cotton, they send out jeans in reusable (and returnable) packaging and as well as the option to buy, customers have the chance to be part of their Lease-A-Jeans scheme. For a one-off membership fee and small monthly subscription, you can 'lease' up to 3 pairs of jeans over 12 months. At the end of the year, you decide whether to keep the jeans or send them back to be replaced with a new pair. As champions of the circular economy, they also offer a take-back scheme; instead of your old jeans sitting at the back of your wardrobe (or in landfill), you can return them to MUD where they'll be up-cycled and sold as 'vintage' or shredded and blended with virgin organic cotton to make a new pair. They are making efforts to reduce their carbon and water footprint from farm to finished product and have developed strong relationships with their suppliers, helping to ensure ethical working standards for the people that make their clothes. As of 2012, Nudie Jeans Co. achieved their aim of using 100% organic cotton and these days they’re also aiming for 100% transparency. The Production Guide provides an insight into the places and processes behind each item they make. You can find out more about the materials they use (from the organic cotton grown in Turkey and India down to the buttons, rivets and snap fasteners made in environmentally-friendly conditions in Germany), see the locations of the factories in their supply chain and even discover how each item is packaged and transported. As members of the Textile Exchange and the Fair Wear Foundation, they place environmental concerns and safe working conditions at the heart of the business, choosing only to work with factories that align with their values. Regular, independent factory audits are carried out (alongside visits from Nudie Jeans reps) to ensure that high standards are maintained when it comes to working conditions, and audit reports are published online. They’re also on a mission to help your jeans live longer; as well as offering unlimited free repairs, they’ll take in your old jeans and either re-sell them or use the fabric as patches for repairs. Don't be misled by the lack of women-folk on their website - Nudie jeans are unisex, designed for a comfortable fit for both men and women. Skeptical? You can try before you buy in one of their many stores around the world. Kuyichi started out with a mission to create ‘pure goods’, introducing the first pair of organic jeans into the denim world back in 2001. 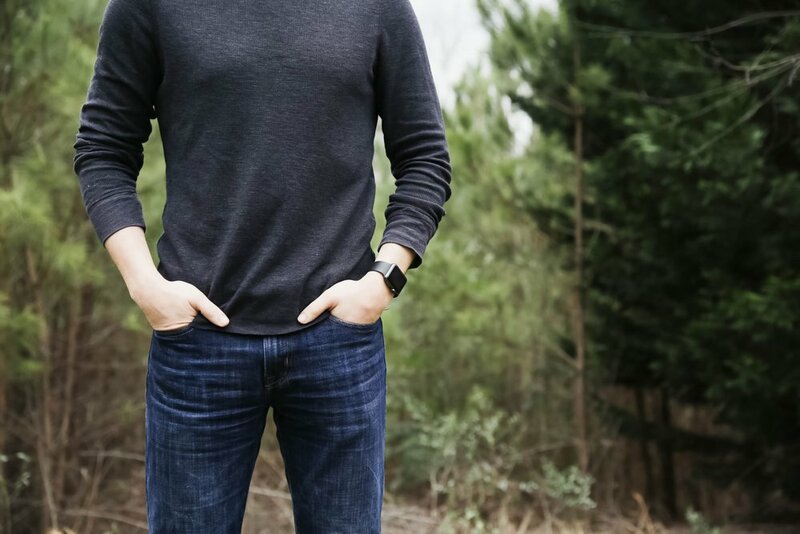 The fabric used to make their jeans is a mixture of GOTS-certified cotton and recycled cotton (helping to cut down on water and waste) and since 2016 all the jeans they make are vegan-friendly too, after Kuyichi abandoned the use of leather patches in favour of Jacron (a washable, durable material made from recycled paper). Making jeans using conventional methods has a huge environmental impact, from the amount of water required throughout production to the chemical dyes and finishing methods used to give jeans that 'pre-washed' look. Kuyichi have found ways to dramatically reduce the amount of water, chemicals and power they use by using Laser, Ozone and E-flow technology in the finishing stage (not as sci-fi as it sounds, but still pretty cool - read more here). Using these techniques results in a lower impact on the environment and safer working conditions for factory workers. Recognising the importance of transparency, they've made efforts to let customers take a peek behind the scenes by publishing a list of all their suppliers, and they’re working with other stakeholders and industry experts as a member of the Alliance for Responsible Denim to find ways to improve the ecological impacts of the jeans they make. A founding member of the Sustainable Apparel Coalition and its apparel database (the Higgs Index), Patagonia are widely regarded as a global leader in sustainability innovation. In 2014 they took the bold step of dissolving their sustainability department, moving away from a top-down approach to a decentralized system which places the responsibility of considering issues of sustainability on every employee. Their jeans (currently only available for men, boooo) are designed to suit those with a more active lifestyle; each pair is made from a mix of organic cotton and polyester (to add a little 'give' to the fit) with a durable water repellant finish and reinforced pocket linings. Colour is added to the fabric using an innovative dyeing process which requires 84% less water, 30% less energy and produces 25% less CO2 in comparison to conventional dyeing methods. They don't use harmful processes like sandblasting to give their jeans a 'worn-in' look, which has the added benefit of not reducing the strength of the material. When your jeans do wear out (from all that active lifestyle-ing), you can send them in for repairs or give them back to be recycled. Every pair of jeans is Fair Trade Certified for sewing, which means workers receive a premium that can be reinvested in projects that benefit the community, or taken as a bonus. Find out more about their supply chains (and what Patagonia is doing to improve them) in the Footprint Chronicles.